Lets start with some tools of the trade shall we? 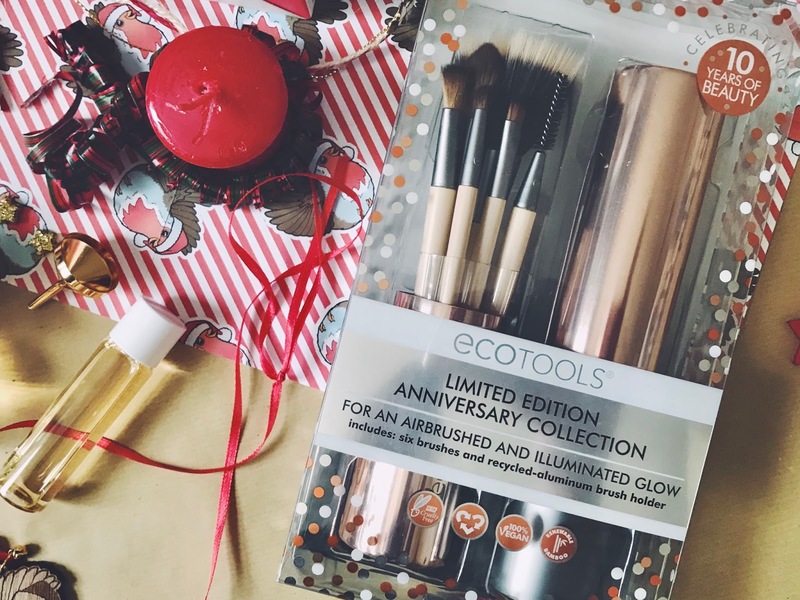 EcoTools have been around for a decade and have since been a go to pharmacy brand for ethical brushes. Environmentally friendly, vegan, and a bargain too. I picked this anniversary set up in the Gordon’s Black Friday sale and as I write this they are currently on sale at 14.99. 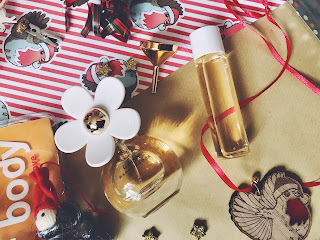 Last year I featured the original Alpha H Liquid Gold on my round up of Christmas ideas. Cue Christmas Day when my mum and I both gifted each other bottles of this amazing elixir. 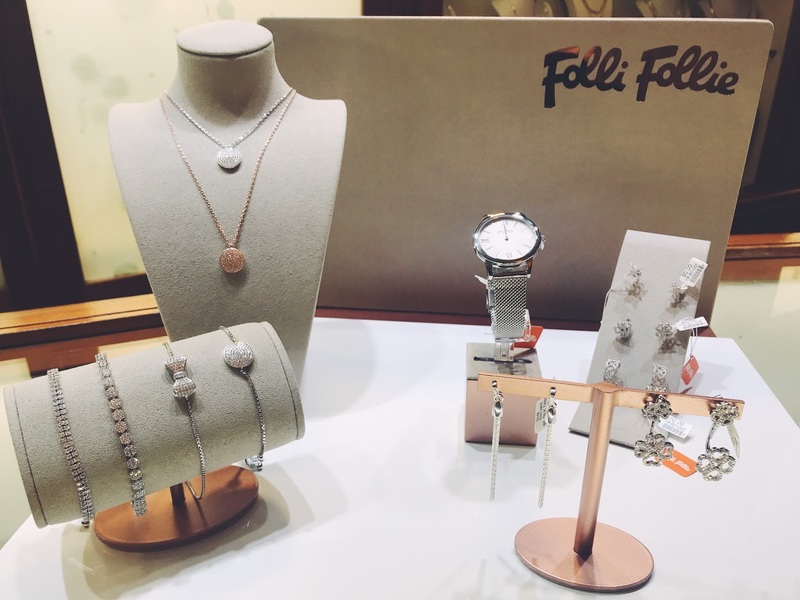 This year the world has gone rose gold mad and so it felt fitting to add the rose version to my list. 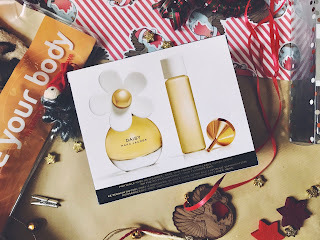 Now it is definitely on the pricier end of the “stocking filler” category at 37.00 for 100ml but if you’re buying for a Skincare obsessive on a budget then this would make an excellent main gift also! 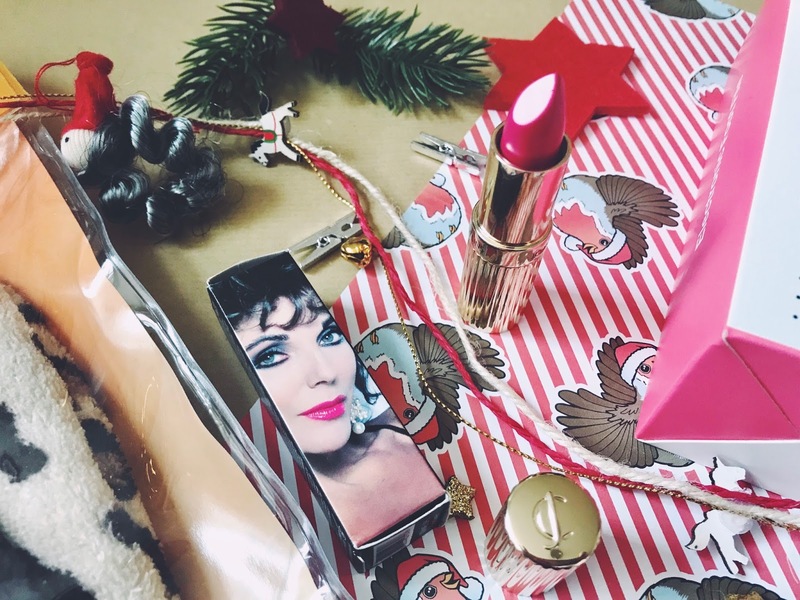 Joan Collins is synonymous with the idea of timeless beauty so it made sense that she named her classy beauty range after that idea. You will have seen me wearing the Alexis and Fontaine lip colours over on my instagram quite often! The thing that excites me most about the lipsticks are the mumblingx across the internet that they are, in fact, dupes for another high class female brand: Charlotte Tilbury. I don’t take the word dupe lightly and unfortunately CT is way out of my price range but I’m happy to take the word of a few trusted sources especially because, at only 18.00, these timeless beauties are a fraction of the price. Candles and beauty are inextricably linked nowadays and I’ll be honest... I’m not sure why. 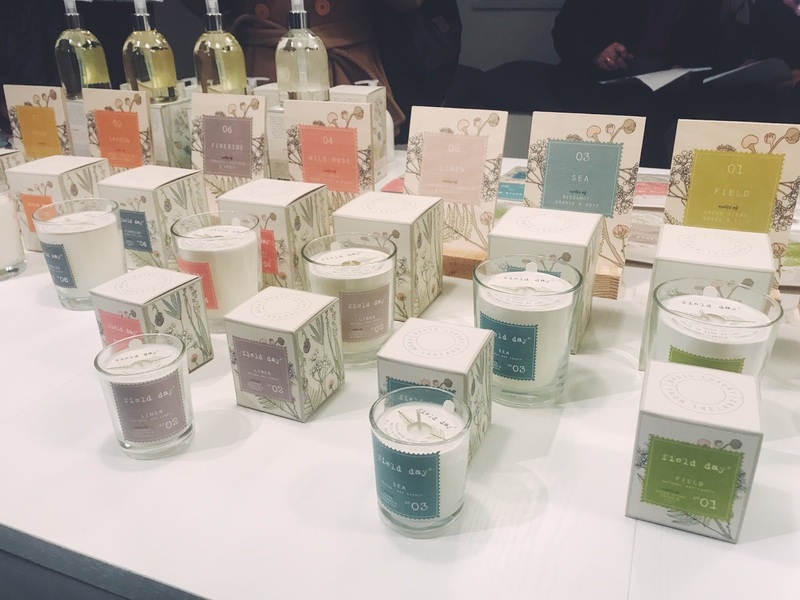 Either way the candle trade is booming and my current faves are Field Day Ireland (formerly Bog Standard). Who have a number of different sizes and scented options to suit everyone. 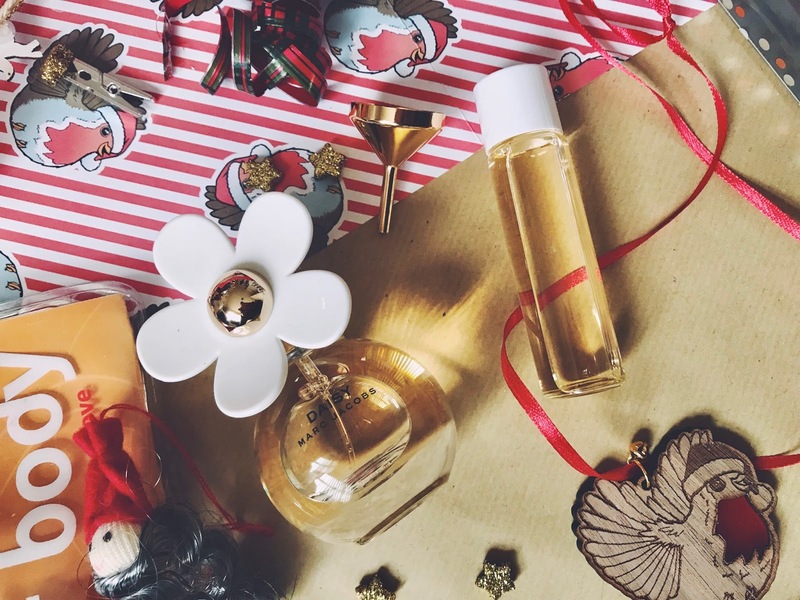 My personal favourites are the Field Day Winter candle, the linen scented liners and the tea candle - which pairs perfectly with the Matcha Tea mask from the body shop... hint hint. Another item that I’ve featured on Faeriwood previously which just goes to show how much a love it. The Micropedi from Emjoi is a foot saver if you suffer from dry skin. This little set doesn’t come with the pedicure tools of its predecessor but honestly I don’t miss them that much - plus the nail technician in me absolutely freaks out at the idea of using an e-file on a natural nail. Seriously... don’t do it. But do get the micropedi for sure... your feet will thank you! Makeup! We’re gonna go budget friendly here and honestly I can’t think of a brand who are doing proper budget Beauty better than Makeup Revolution. 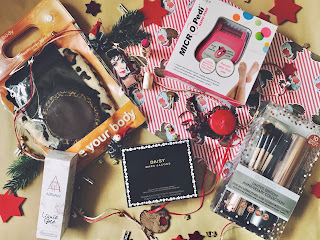 With all manner of palettes and goodies for much less than a tenner you are bound to find something that suits your gift-ee - personally I go for anything matte as I'm sensitive to glitters. I recommend the renaissance glow palettes which have that little extra bit of glam you see in the likes of NARS and Charlotte Tilbury without the need to remortgage. You can see Here why I love Kiss Nails so I won’t repeat myself too much. Hands down they are my favourite press on nail brand at the moments and for only a fiver they are perfectly suited to all budgets and a great way to finish off my list for 2017!